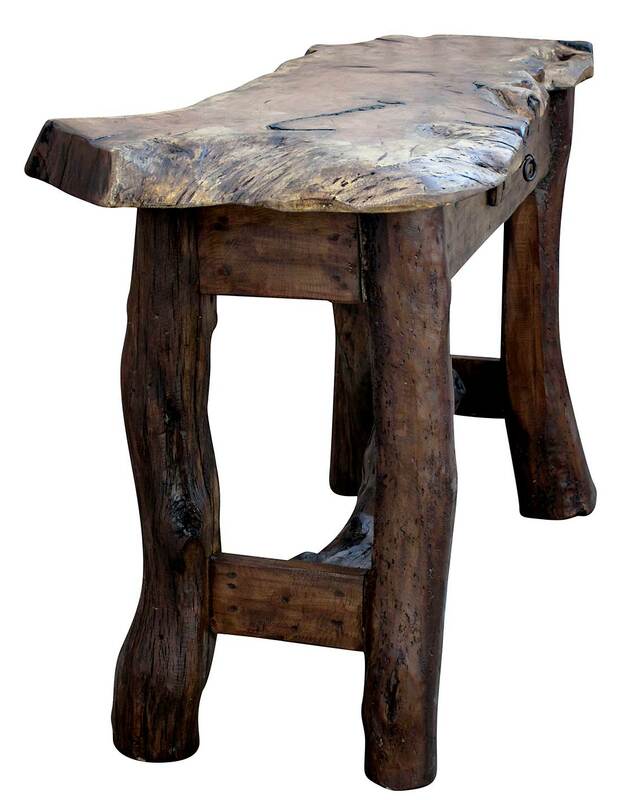 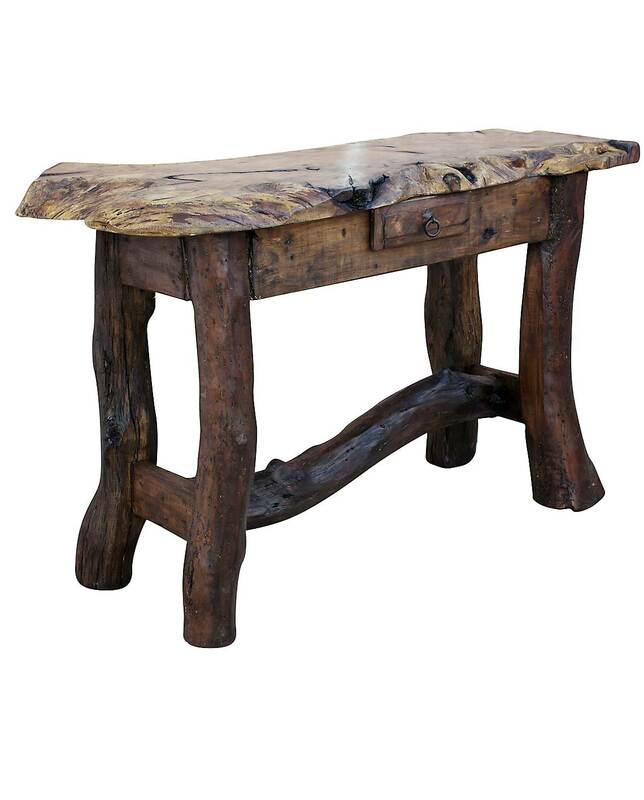 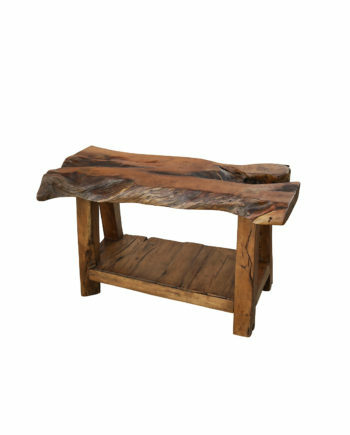 Handcrafted from solid mesquite wood, this naturally rustic-style piece is a work of outstanding artistry. 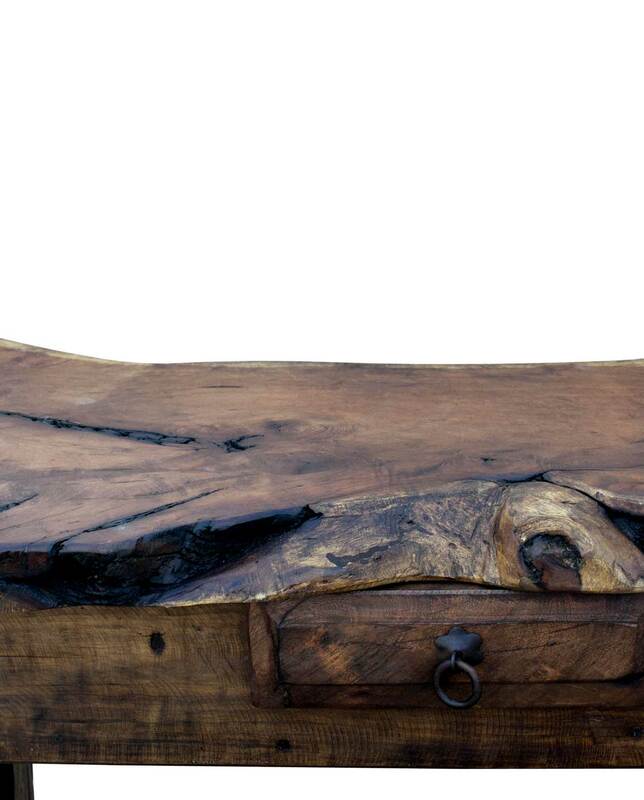 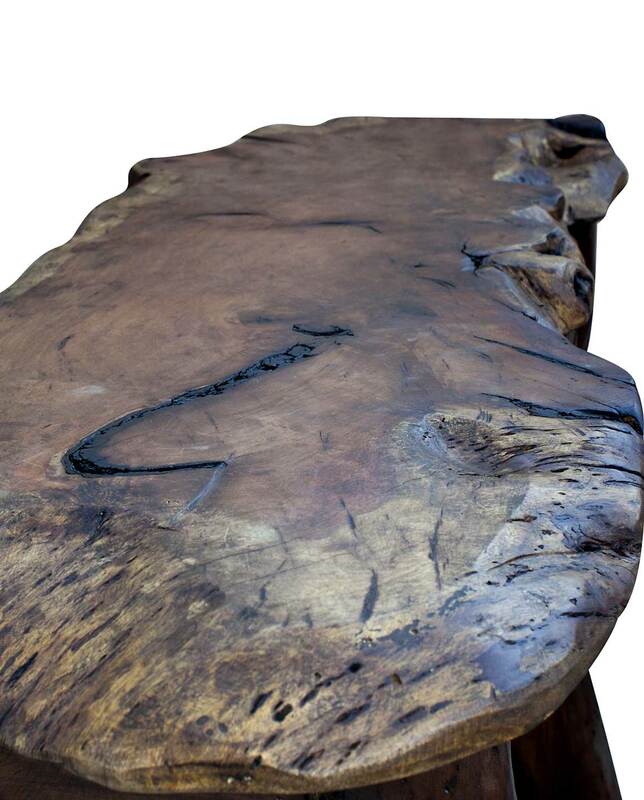 Featuring a natural, live edge surface and numerous attention grabbing details including knots, ridges and different wood movement throughout, it truly is a one-of-a-kind piece. 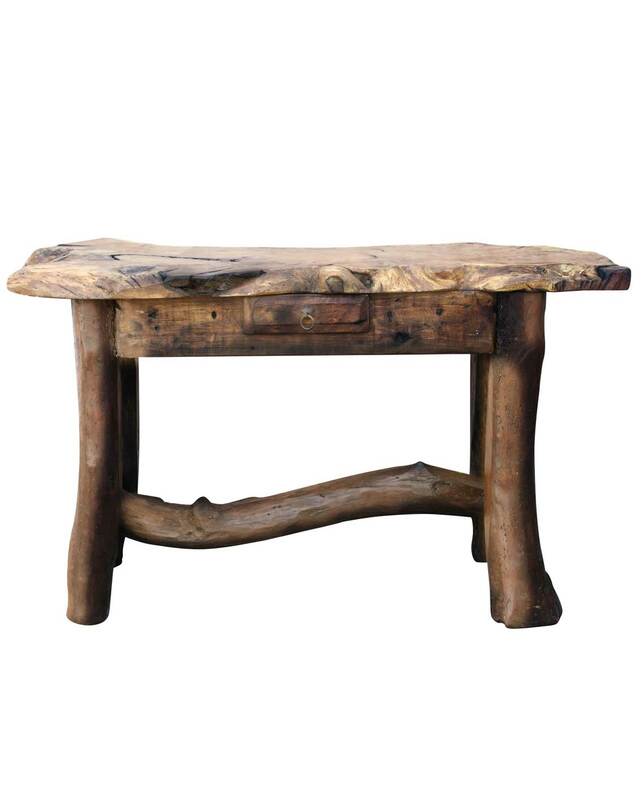 Exceptionally strong, yet whimsical in nature, this table overflows with character and will surely bring a distinct style into your entertainment space.